All Poway homes currently listed for sale in Poway as of 04/24/2019 are shown below. You can change the search criteria at any time by pressing the 'Change Search' button below. If you have any questions or you would like more information about any Poway homes for sale or other Poway real estate, please contact us and one of our knowledgeable Poway REALTORS® would be pleased to assist you. "Modern luxury 15,844 sq.ft. fully gated property on a 3.96 acre double lot on a cul-de-sac in the guard-gated Heritage Estates. This iPad powered smart home features 5 large bedroom suites, upscale lighting, 20 vaulted ceilings, a renovated kitchen, breakfast solarium & pantry, private office, barber shop, theater, snack bar, 1200 bottle wine vault & tasting room, cigar lounge & 5 car garage. Detached guest house w/ a gym, laundry, game room & sauna. Golf course views, infinity pool/spa & Poway Schools! Neighborhoods: Heritage Complex Features: ,,,,, Equipment: Garage Door Opener,Pool/Spa/Equipment, Range/Oven, Vacuum/Central Other Fees: 0 Sewer: Sewer Connected Topography: ,,RSLP"
"Privacy. Luxury. Views. 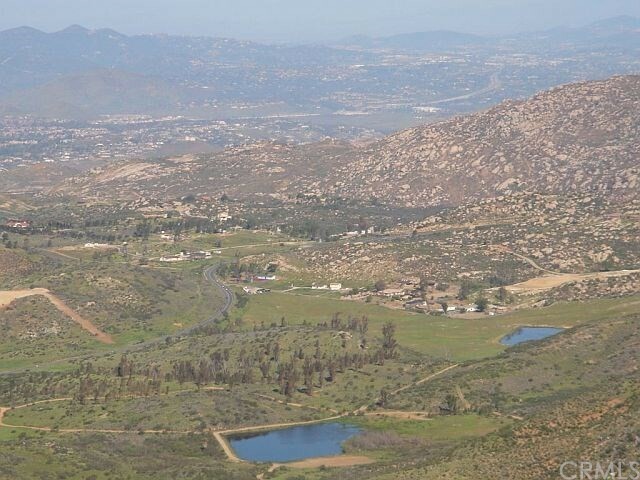 11.69 acres of Poway Real Estate serviced by two wells and your own solar bank. Minimal overhead expense with maximum lifestyle. This luxury hilltop estate boasts 270 degrees of spectacular views and is served by the Award winning Poway Unified School District. Neighborhoods: Poway Equipment: Dryer,Fire Sprinklers,Garage Door Opener,Pool/Spa/Equipment, Range/Oven, Satellite Dish, Vacuum/Central, Washer, Water Filtration Other Fees: 0 Sewer: Septic Installed Topography: ,,SSLP Guest House Est. SQFT: 750"
"** Come and enjoy fine living in this amazing custom built estate located in the prestigious gated golf course community of Heritage estate. This magnificent property featuring breathtaking panoramic views of the canyon, mountains and valley. Masterfully designed home mixing tranquil environment with timeless architecture. This beautiful house is sure to appeal to aficionados of enjoyment with one levels of luxurious interior offering gorgeous 7 Bedrooms suite, 8 full bathrooms & half bath. executive office. home theater/ media room and gym w/ sauna and steam shower. Flowing floor plan w/ spacious family room open to an entertainers dream, covered veranda w/ fireplace, built in BBQ, dramatic pool & spa, tennis court. Lush landscaping and fruit trees/ flowers. This home has a well for landscaping needs and solar panels make it GREEN home! All you need to do is move-in and enjoy it." "Offered in Price Range $3,400,000 to $3,999,800! Exquisite Greg Agee built single story home located in prestigious gated golf course community of Heritage Estates offers privacy and extraordinary quality. Flowing floor plan with spacious family room opening to an entertainers dream, covered veranda with fireplace, built in BBQ, dramatic pool, tennis court and stunning views. 7 bedroom suites, executive office, cinema, gym with sauna and steam shower. Lush landscaping and fruit trees, WELL and SOLAR! Neighborhoods: Heritage Estates Complex Features: , Equipment: Fire Sprinklers,Garage Door Opener Other Fees: 0 Sewer: Sewer Connected Topography: LL"
"Extraordinary property with dramatic and refined living spaces offers sweeping views of mountains and valleys and 14 acres of beautiful land. The home features arched windows to the world, a regal master bath, 6 wow fireplaces and elegant appointments throughout. The remarkable 5-star backyard includes an expansive gazebo and patio, cascading waterfall, salt water pool and spa and equestrian space zoned for horses. The property is placed in a value range from $3,475,000 - $3,895,000. Neighborhoods: The Heritage Equipment: Fire Sprinklers,Garage Door Opener,Pool/Spa/Equipment, Range/Oven Other Fees: 0 Sewer: Sewer Connected Topography: ,,RSLP"
"Incredible views at this privately gated single level home! Seamless indoor/outdoor living and masterfully designed floorplan with a spacious master suite plus three secondary bedrooms on one side plus a private guest suite on the other. Private lighted tennis court, resort style pool w/ 2 water slides, waterfalls & spa. 1100 sq ft loggia with built in BBQ is perfect for entertaining. Executive office that opens to an interior courtyard, home theater, game room, sauna & bonus room near secondary rooms. Neighborhoods: Heritage Estates Complex Features: , Equipment: Garage Door Opener,Pool/Spa/Equipment, Range/Oven, Vacuum/Central Other Fees: 0 Sewer: Sewer Connected Topography: LL,GSL"
"This luxury estate is situated on one of the most coveted streets in the guard gated community of The Heritage. Perched on top of a private corner lot, this estate showcases elegance and luxury. Upon entering, you are greeted with expansive windows that capture all the natural light and beauty of its surroundings. With calming northwesterly views, you can enjoy endless sunsets in your private retreat-like backyard with amenities including, pool, covered veranda with fireplace, pizza oven, fire pit. Neighborhoods: The Heritage Estates Equipment: Dryer,Garage Door Opener,Pool/Spa/Equipment, Range/Oven, Vacuum/Central, Washer Other Fees: 0 Sewer: Sewer Connected Topography: RSLP"
"Custom single level Mediterranean Mansion on 2 acres of land tucked away on private cut-de-sac. Enter property on an elegant circular drive way, with grand entrance, a large foyer, stone floors, high ceilings, with decorative lighted soffits that frame the rooms. Light and airy home, all in an Italian country design, with 5 Master bedrooms, the grand master complete w/ retreat and fireplace, opens on to a Romantic garden including a fountain and Spa waterfall. Garden includes views detached La Casita. Neighborhoods: Green Valley Estates Equipment: Dryer,Garage Door Opener,Pool/Spa/Equipment, Vacuum/Central, Washer Other Fees: 0 Sewer: Sewer Connected, Public Sewer Topography: GSL Guest House Est. SQFT: 700"
"REDUCED TO SELL NOW! Custom Gated Estate Top-of-the-line amenities! Enter through stainless steel glass and granite doors to a meandering stream. Indoors find billiards rm, trophy rm, gym, media rm w/5 TVs, theater rm w/ soundproof walls and surround sound, and upgraded kitchen w/Wolfe appliances and black lacquered cabinets. FAB Mstr Bdrm. Outside, see 40' pool/spa, Olympic-size tennis crt, fire pit, built-in BBQ and 20' serving counter space, guest home, and Panoramic Views. Poway Award Winning Schools. Neighborhoods: Old Winery Estates Equipment: Dryer,Fire Sprinklers,Garage Door Opener,Pool/Spa/Equipment Other Fees: 0 Sewer: Sewer Connected, Public Sewer Topography: LL Guest House Est. SQFT: 1200"
"STUNNING custom Greg Agee home situated on one of the most desirable lots in the exclusive community of Highlands Ranch! No expense spared on this exquisite designer home! Lush landscaping with waterfall greet you as you enter the grand foyer and take in the breathtaking view visible from every room of the home! Soaring ceilings and grand arches throughout. Formal living and dining rooms plus great room and gourmet chefs kitchen with dual islands, prep sink and Viking and Miele appliances. See supplement! Neighborhoods: Highlands Ranch Architectural Style: Custom Built View: Custom Built Equipment: Dryer,Garage Door Opener,Pool/Spa/Equipment, Washer Other Fees: 0 Sewer: Sewer Connected Topography: LL"
"Welcome to a one of a kind luxurious custom estate dream home built and supervised by the owner engineer throughout entire construction. Constructed out of the highest quality materials. And situated on 8.76 acres of land at the end of the private gated driveway. Positioned to enjoy a beautiful 360degree panoramic views form every room window. A rare and remarkable one of a kind estate with mesmerizing views in Poway Award-winning school district with No HOA and no Mello-Roos. Welcome to Paradise! Neighborhoods: Poway Equipment: Garage Door Opener, Satellite Dish Other Fees: 0 Sewer: Septic Installed"
"Located in the exclusive, gated Green Valley Estates, this gorgeous estate home is sited on a two acre lot with exceptional mountain views & offers over 8,000 square feet of incredible living space adorned with the highest quality finishes, with detailed woodwork & wood beam ceilings throughout. The backyard includes a covered gazebo, BBQ area, fire pit & tennis court with covered viewing area. The pool & spa is complete with a slide, tall jumping rock, grotto and waterfalls. Please see supplement.. Neighborhoods: Green Valley Estates Equipment: Garage Door Opener,Pool/Spa/Equipment Other Fees: 0 Sewer: Sewer Connected Topography: LL"
"This Spanish/ Mission style hacienda was designed to be not only a spacious, comfortable home but also an authentic working ranch house. Soaring ceilings in most rooms are an amazing fourteen feet, while the living areas reach to an incredible twenty feet. Hand applied Venetian plaster finished brighten the surfaces of the rooms and soaring ceilings. The property also includes a working barn of over 1000 sq.ft., 3 stables for boarding horses, a glorious pool and hot tub...(MORE below in Supplement) Neighborhoods: Poway Complex Features: , Equipment: Dryer,Fire Sprinklers,Garage Door Opener,Pool/Spa/Equipment, Shed(s), Washer Other Fees: 0 Sewer: Public Sewer Topography: ,RSLP,GSL,SSLP"
"VR $2,195,000 - $2,395,000. Spectacular panoramic VIEWS from this Frank Lloyd Wright inspired custom home! Displaying a passionate use of stone, wood & granite adds to its beauty. The stunning entry door was featured in SD Magazine for its unique design which opens to a grand room with walls of windows framing the amazing forever views. The enchanting courtyard features a winding stream, lush landscaping & a quiet place to relax. Lives as a 1 story with only 1 BR/office upstairs. Views from all rooms! Neighborhoods: Poway Equipment: Dryer,Fire Sprinklers,Garage Door Opener, Shed(s) Other Fees: 0 Sewer: Septic Installed Topography: LL,RSLP"
"Magnificent custom single level equestrian gated estate sited on 8.3 serene acres. Tack room & corral. Sparkling vanishing edge pool, views, spa, putting green, Solar, Well water, riding trails & BBQ entertainment area. Multiple French doors & expansive windows to stunning views. The gourmet KIT features all the accoutrements of a fine chef. Spacious family room w/fireplace & soaring wood beam ceilings. Master suite w/fireplace, French doors & luxurious ensuite BA. Built by premier builder Greg Agee. Neighborhoods: Deer Valley Estates Equipment: Fire Sprinklers,Garage Door Opener,Pool/Spa/Equipment, Range/Oven Other Fees: 0 Sewer: Septic Installed Topography: LL,RSLP,GSL,SSLP"
"PRICE RANGE!! $2,190,000 - $2,350,000 Exquisite Mark Agee built single story Masterpiece located on the 5th Hole in prestigious gated golf course community of the Heritage Estates. This magnificent French inspired Villa offers stunning golf course views and is built in extraordinary quality. The home went through an extensive remodel $650,000 in 2014. Finest Chef's kitchen, Ilve Stove, Sub Zero Fridge, 2 Bosch Dishwashers. Enjoy a luxury lifestyle and entertain year round! Neighborhoods: Heritage Estates Equipment: Garage Door Opener,Pool/Spa/Equipment Other Fees: 0 Sewer: Sewer Connected Topography: LL"
"A modern masterpiece in a class by itself! Clean lines, a strategic mix of interesting textures including stone, glass and wood, and open light-filled spaces set this home apart from all others. Enjoy seamless indoor/outdoor living in this amazing 5-bedroom single story compound with panoramic views from its floor to ceiling windows overlooking the sleek sun-drenched pool and spa. A private detached 2 level guesthouse can provide office, fitness area, or guest bedrooms. Solar installed in 2018. Neighborhoods: Poway Equipment: Dryer,Fire Sprinklers,Garage Door Opener,Pool/Spa/Equipment, Range/Oven Other Fees: 0 Sewer: Sewer Connected Topography: LL"
"Sophisticated elegance blended with casual living describes this beautiful property. Once inside, you will be struck by the beauty of the dual wrought iron staircase, marble flooring with medallion inlay & straight out to the views framed by the living room 2 story wall of windows. Entertaining large parties or intimate gatherings is easy on the oversized patio surrounding the infinity pool & spa while dining al fresco, watching golfers below or enjoying the amazing sunsets. 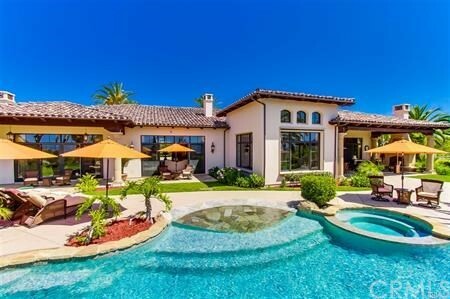 Neighborhoods: The Heritage Complex Features: , Equipment: Fire Sprinklers,Garage Door Opener,Pool/Spa/Equipment, Vacuum/Central Other Fees: 0 Sewer: Sewer Connected, Public Sewer Topography: LL"
"This gorgeous Poway Mediterranean estate can be yours! 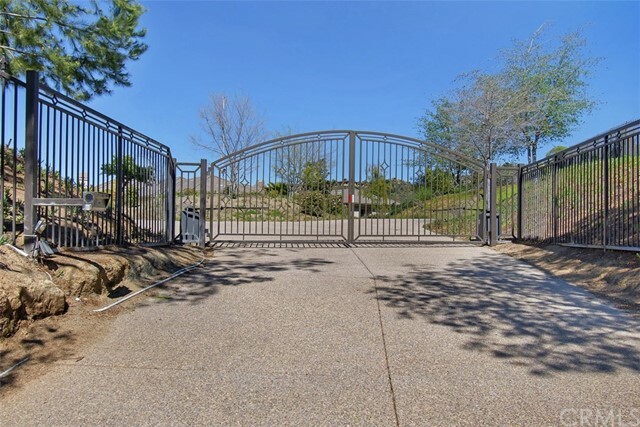 Private gate opens to 4 acres of paradise. Stunning & spacious home, designed with the active family in mind, with pool/spa, tennis court, sand volleyball court, 6-hole putting green, fire pit and BBQ. Extensively upgraded. Gourment kitchen with over-sized granite-top center island, built-in fridge/freezer, a large pantry & stainless steel appliances. Family room, game room, workout room w/ steam shower. Multiple outdoor...more in supplement... Neighborhoods: Green Valley Summit Equipment: Garage Door Opener, Range/Oven Other Fees: 0 Sewer: Sewer Connected Topography: LL,GSL"
"Resort style living, private-custom blt. Lavish 1 story, 5 Bdrm, 5.5 Ba estate w/extensive open floorplan, travertine/granite and hardwood flooring, vaulted ceilings w floor to ceiling view windows. 180+ degree views from Liv Rm, Din Rm, Fam Rm & Mstr Suite w/retreat & Music Rm. Hi-end Kitchen w/sep. butler's full kit. Great-entertaining. Mstr Ba w/Roman Tub, dual sinks, dual lrg walk in closets. 4 add Bdrms, en suite. Plus study/Tv rm att. to 2 bdrms. Walk to Bernardo Winery, & hiking trails. See supp Neighborhoods: Lomas Verdes Estates Equipment: Dryer,Fire Sprinklers,Garage Door Opener Other Fees: 0 Sewer: Sewer Available, Sewer Connected, Public Sewer Topography: ,LL"
" Neighborhoods: Saddlebrook Estates Equipment: Range/Oven Other Fees: 0 Sewer: Sewer Connected Topography: LL"
"Incredible opportunity to own one of the prettiest pastoral properties left in San Diego County! With 25 flat acres, three wells and views to the ocean this 35+acre parcel is uniquely positioned to host a phenomenal estate or equestrian breeding and training facility. Sale includes city approved 4 bedroom / 3 bathroom main home, several shops, hay barn, and out buildings as well as a small home that is currently undergoing renovations, but make no mistake, the value is in the land! For someone looking for a grand estate or even a large animal veterinarian clinic, there is no better parcel. Owner is willing to carry with at least 20% down!" "An Amazing private Tony Garczynski built single-story estate bordering Blue Sky Reserve overlooking Maderas. The backyard used to have a vineyard w/540 vines (Cab, Merlot & Syrah) current owner removed for a plan to replace but decided to move, all irrigation systems are in place, 3 covered horse stalls, corral, tack shed & hay enclosure. All usable land is fenced in, apx 1.5 acres. A well for all irrigation (& inside if desired) saves a lot on water bills, also a free and clear solar panels for Zero Cost electricity as well, only utility coast is gas." "Majestic Country French residence in Lomas Verdes Estates situated on a cul-de-sac with a commanding presence + pano mountain, golf course & lake views. 5 bedrooms + 2 bonus rooms, recently remodeled kitchen & family room with quartz counter tops, a large island housing a Viking range + 6 burner gas cook top, two Fisher Paykel refrigerators, Viking dishwasher, a 2nd built-in oven & microwave, large breakfast area & hickory wood flooring extending into the hallway & family room + a stone faced fireplace. 3 spacious 1st floor bedrooms + an office & a fireplace. A dramatic curving staircase leads to the 2nd floor master suite with a fireplace, view balcony, marble trimmed bath, two walk-in closets + an adjacent bonus room. A separate staircase leads to a huge 2nd bonus room. Features include a 2 story foyer, high ceilings, crown molding, 4 fireplaces, marble flooring, wood windows, French doors, arched room entries, wood blinds, custom paint, solid wood doors, hand troweled texturing, spot lighting, picture view windows, laundry/craft room, washer & dryer convey, security system, 4 heating & A/C units, two water heaters, Water Boy water filtration system, color coated stamped concrete driveway, 4 car garage + workshop area & extra parking space, multiple large walk-in attic storage spaces, updated sprinkler system, two covered patios, spacious lawn & colorful mature landscaping. No Mello Roos. Close to shopping, services, I-15 & Poway Unified Schools."